Congratulations to Lynn Obermoeller for winning the Writers in the Park Bracelet! Writers in the Park was a tremendous success! So many people showed up, so many kids showed up, we sold a number of books, and everyone loved the "Buy a Book and Get a Sandwich" deal we had going. All the workshops were great, and the weather held off just long enough for us to get in the whole day. Lynn, you can contact me through this post, or I'll just send you the bracelet. Congratulations, and thank you to everyone who made Writers in the Park possible. BTW, the bracelets were a hit I saw so many people wearing them at the park, and one little girl had five or six of them running up her arm. Writing genre fiction can get confusing. You think you're writing science fiction, but others tell you it's fantasy or horror. For those of us who write speculative fiction, I think the lines are often blurry. At least, they're pretty tricky for me. Here are a couple of examples. A little over a year ago, I had the pleasure of getting to know Fran Friel, the Bram Stoker Award-nominated author of MAMA'S BOY AND OTHER DARK TALES. Although it had been years since I'd read horror, immediately I downloaded her book. I was glad I did. What really surprised me was finding I'd already read one of the short stories--a tale about malevolent dust bunnies.When I learned Fran's new story, "House of the Infinite," was out in the May 2011 issue of Necrotic Tissue, I rushed to get it, too. As I read the futuristic gladiator story, it struck me that I wouldn't have been surprised to find it in a science fiction magazine. That made me wonder about some stories I hadn't been able to sell. I decided to test my hunch. In my email inbox was a Writer's Digest reminder about its short story contests, so I entered one of my science fiction stories in the horror competition. A few months later, I learned it placed second! Even as I danced around my office, I was thinking, "Hmmm, I guess that means it's horror." Always quick to catch on, I am. And that wasn't the first time I'd had a blindspot about what makes a story "horror." I thought my first novel, LITTLE SISTERS, was a mystery until an agent told me otherwise. In that case, my murderer telepathically controlled black widow spiders. I guess it should've been easier to for me to figure that one out. Anyway, that's why I sometimes think of myself as an accidental horror writer. I don't think I've ever intentionally tried to write horror, but what I write sometimes has a mood or an edge that simply isn't "right." Or the "evil element" isn't completely vanquished. It's more than just a gory scene or two. I used to love scary stories and movies, and Edgar Allen Poe has always been a favorite. Maybe that's what comes out when I'm writing? Well, at least I've worked out the genre for my short story, "Origin of the Species," but now I'm rethinking some others. I've been bombarding traditional sci-fi and fantasy 'zines with my queries, but what if the stories are actually Young Adult, or mystery or horror. It sent me back to the basics, to get more clarity about the differences between the genres. Writer's Digest offers one of the best lists of Fiction Genre Descriptions I've found, but you have to register. (It's free and you can also access other free stuff, like their list of 101 Best Websites for Writers). Writing to Publish also has an extensive list of Fiction Genre Definitions that even breaks each category down into subgenres (more than 25 for horror). If you've been having trouble finding a home for one of your horror or science fiction stories, it's possible that you need to reconsider the markets where you're submitting. Check out the genre lists and try sending it to a different kind of publication. You may find you're an accidental fantasy writer! 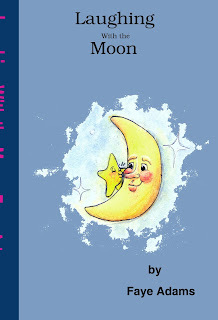 Thanks to everyone for reading and commenting on The Writers' Lens.Your comment on today's post will enter your name into this week's drawing for Faye Adams' LAUGHING WITH THE MOON. This week's giveaway is a book of nonfiction, flash fiction, articles, essays, and various forms of poetry by FAYE ADAMS, winner of Missouri's 2010 and 2012 Senior Poet Laureate Award. 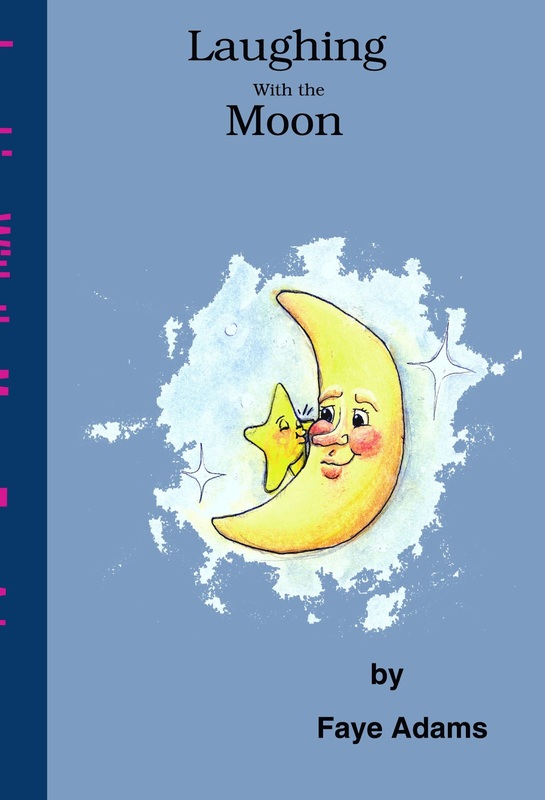 LAUGHING WITH THE MOON is enhanced by the wonderful illustrations of Aimee Wegescheide, many in color. See Faye's interview on The Writers' Lens, and check out her website at www.fayeadams.com. TO ENTER THE CONTEST, simply leave a comment or question on The Writers' Lens between now (Aug. 27) and midnight, Sept. 1, 2012. Please include your email so we can reach you if you win. The more comments you leave, the greater your chance of winning the contest. If you refer others to The Writer's Lens who mention your name in their comments, I'll enter your name again in our random number generator along with theirs, also increasing your chances at winning. Good luck and comment often! 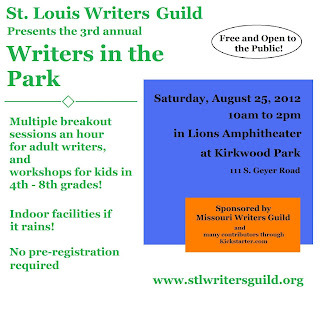 For three years, I have coordinated St. Louis Writers Guild’s mini-conference, Writers in the Park. The festival was created to celebrate SLWG’s Ninetieth Anniversary and provide the electric feeling that comes from a writers’ conference. If you haven’t gone to a writing conference, I highly recommend it. Breakout sessions presented by industry professionals, pitch sessions and panels with agents, nightcaps, tons of inspired writers, and a packed schedule of classes that you haven’t seen since high school. The creative energy that gets whipped up makes most of the attendees scurry off to begin furiously writing. I wrote half a novel once just from the nervous energy created by the anticipation before the writers’ conference and the creative fervor I felt afterward. St. Louis Writers Guild may not have been able to bottle that feeling but we came close – we created a mini-conference. So what is a writing mini-conference? Well, Missouri Writers Guild, Writers Digest, Backspace, numerous literary groups, and universities offer wonderful writers conferences that last from a weekend to weeks. They are packed with hundreds of writers, great authors, literary agents, editors, publishers, and the icons of the publishing industry. If those are the big leagues for conferences then Writers in the Park is more like the minors. A mini-conference is a single day event. We still have the industry professionals, but no agents, and no hotel bills. This year Writers in the Park has expanded to include writing workshops for kids in grades 4th – 8th. There will before four hours of workshops for kids, starting at 10am and ending at 2pm. There will even be workshops detailing the new Young Writers Awards Contest. Participants may show up at anytime during the festival. There will be indoor facilities if it is raining, so the day will go no matter the weather! This event was sponsored by the Missouri Writers Guild and many contributors to the Kickstarter Campaign for Writers in the Park. Allow me to highlight the great authors and literary organizations who will be speaking at Writers in the Park. Kate Klise is an award-winning author of 23 books, including the bestselling Regarding the Fountain, Dying to Meet You, and Stand Straight, Ella Kate, a Missouri Show-Me nominee. In addition to writing books, Kate spent fifteen years working as a correspondent for People magazine. Given her experience as both a journalist and a novelist, Kate knows the challenge of getting a story down on paper. She delights in sharing her tricks and techniques with writers of all ages. A native of Illinois and a graduate of Marquette University, Kate now lives and writes on forty acres in the Missouri Ozarks. For more information, visit www.kateklise.com. Jeannie Lin grew up fascinated with stories of Western epic fantasy and Eastern martial arts adventures. When her best friend introduced her to romance novels in middle school, the stage was set. Jeannie started writing her first romance while working as a high school science teacher in South Central Los Angeles. Her first three books have received starred reviews in Publishers Weekly and Library Journal and The Dragon and the Pearl was listed among Library Journal's Best Romances of 2011. As a technical consultant, backpacker and vacation junkie, she's traveled all over the United States as well as Europe, South Korea, Japan, China and Vietnam. She's now happily settled in St. Louis with her wonderfully supportive husband and newborn twins, and she continues to journey to exotic locations in her stories. Jody Feldman may have been a natural-born reader, but has never claimed to be a natural-born writer. Through a series of fortunate events, she found herself enrolled in the University of Missouri’s School of Journalism and discovered she could write. Her credits include a television special, a travel book, speeches, all means of marketing and promotion and … back to her reading roots ... children’s novels. Her first, The Gollywhopper Games received the 2011 GrandCanyon Readers Award and the 2011 Georgia Children's Book Award among other honors. Her second, The Seventh Level debuted on the Summer2010 Indie Next List and received the 2011 Missouri Writers Guild Show Me Best Book Award. Jody Feldman lives right here in St. Louis where she’s always hard at work (or pretending to be hard at work) on the puzzles or mysteries or twists for her next book. Kelly Cochran’s humorous mystery, Buying Time: An Aspen Moore novel, has been described as quirky, fun, delightful, and unique. As an independent author, typing the words “The End” is when the real work begins. She is responsible for all aspects of her book from cover design and formatting to publication and marketing. With an overactive imagination and a fascination with crime, Kelly finds mystery and humor in everything she sees. Margo L. Dill is the author of Finding My Place, a middle-grade historical fiction novel set in Mississippi during the Civil War. She also has two picture books under contract: Lucy and the Red Ribbon Week Adventure (2012) and Maggie Mae, Detective Extraordinaire, and the Case of the Missing Cookies (publication date TBD). 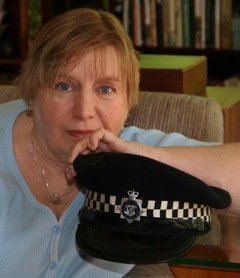 She blogs about children's, YA, and women's books at http://margodill.com/blog/ and loves speaking to groups full of readers, young and old, about books, the writing craft, and social networking/blogging. She is also a freelance editor and edits for WOW! Women On Writing e-zine and High Hill Press as well as individual clients. Find out more at: http://www.margodill.com. Niki Nymark is an award winning and well-published poet. She and several other ladies from Loosely Identified Poets will be presenting a workshop on poetry. Ben Moeller-Gaa is a haiku poet and a playwright living in St. Louis. His haiku have appeared in five countries on four continents and in two languages. 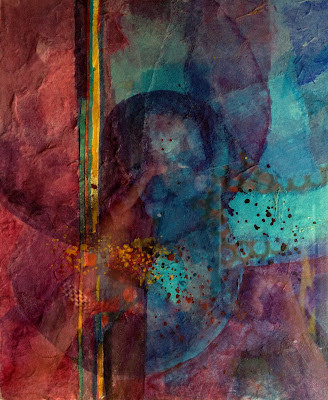 His haiku has recently been published in A Hundred Gourds, Notes From the Gean, Multiverses, and Frogpond and he has a haiku chapbook, Wasp Shadows, due out later this year from Folded Word Press. Ben's plays have been performed on several small stages in the St. Louis area. His play Digging Up Danny will be performed later this year at the Black Cat Theater in Maplewood by Panther Productions. Ben is a Contributing Editor to River Styx, a member of The Haiku Foundation, has a degree in English Writing from Knox College, works for Sigma-Aldrich and can be seen in Wicked Pixel films. 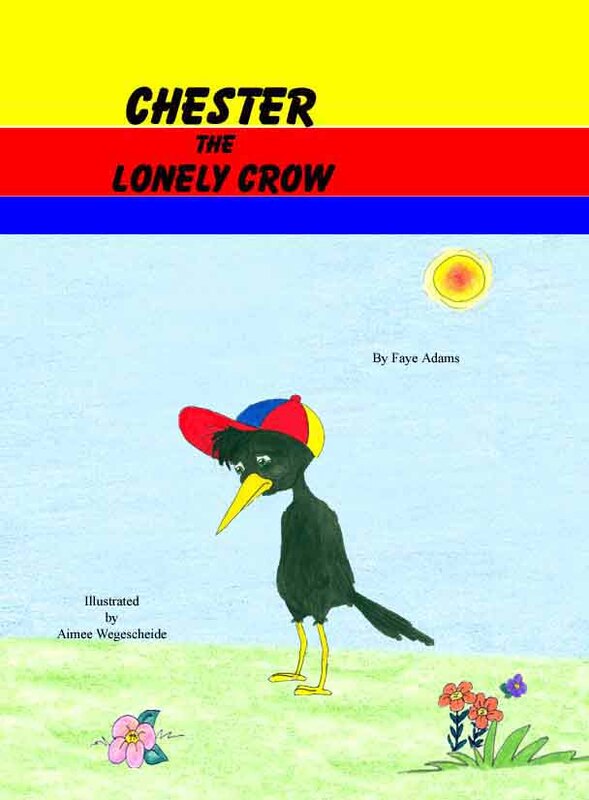 Faye Adams is a children’s author and former Senior Poet Laureate for Missouri. She has won numerous awards for her novels and poetry. Jennifer Stolzer is an entrepreneur, writer, illustrator, computer animator and co-founder of the Happy Badger Studio in St. Louis. She splits her time designing games and applications for mobile devices, writing novels, and submitting articles for the Scribe. She loves creative character-driven narrative, alternate worlds, robots, ghosts, and riffing bad horror movies. T.W. Fendley is an award-winning author of historical fantasy and science fiction for adults and young adults. Her debut novel, ZERO TIME, melds ancient Maya history with New Age spirituality and time travel. Readers chose ZERO TIME as the 2011 Best Science Fiction/Fantasy Novel, and it was a finalist for the Missouri Writers' Guild's 2012 Major Works Award. Fendley’s short stories have earned national recognition, including a Writers Digest award. 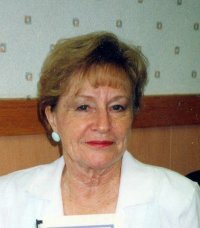 She began writing fiction full-time in 2007 after working more than 25 years in journalism and corporate communication. When she’s not writing, she travels with her artist husband and tries to find fun ways to use remote viewing. David Alan Lucas is a writer, poet, martial artist and a prolific blogger. He has blogged interviews of emerging musical bands for "Rolling Stone" type ezines, writing techniques, self-defense, and health care law. Some of his blogs about overcoming learning disabilities have been used by professors in universities both in the United States and Great Brittan. His fiction includes Paranormal, Horror, Science Fiction, and Mystery/Crime Drama. David is a Sandan (Third Degree Black Belt) in Tracy’s Kenpo under Tim Golby and David Hofer and brings his knowledge of martial arts, physical and psychological combat to his self-defense articles and his fiction writing. David holds a Bachelors degree in Elementary Education from the University of Missouri—St. Louis and a Masters Degree in Business and Leadership from Webster University. He is also a certified paralegal. When David is not writing he is reading, working with the community, traveling, camping, studying martial arts, or otherwise looking to get into some kind of adventure that will likely spawn other story and poetry ideas. If you happen to be in St. Louis this weekend, stop by Kirkwood Park, and discover one of the largest literary communities in Midwest showcased in grand fashion. Thank you to everyone who has dedicated themselves for the last few months and on that day to ensure that Writers in the Park is an amazing event. A Giveaway for Writers in the Park! 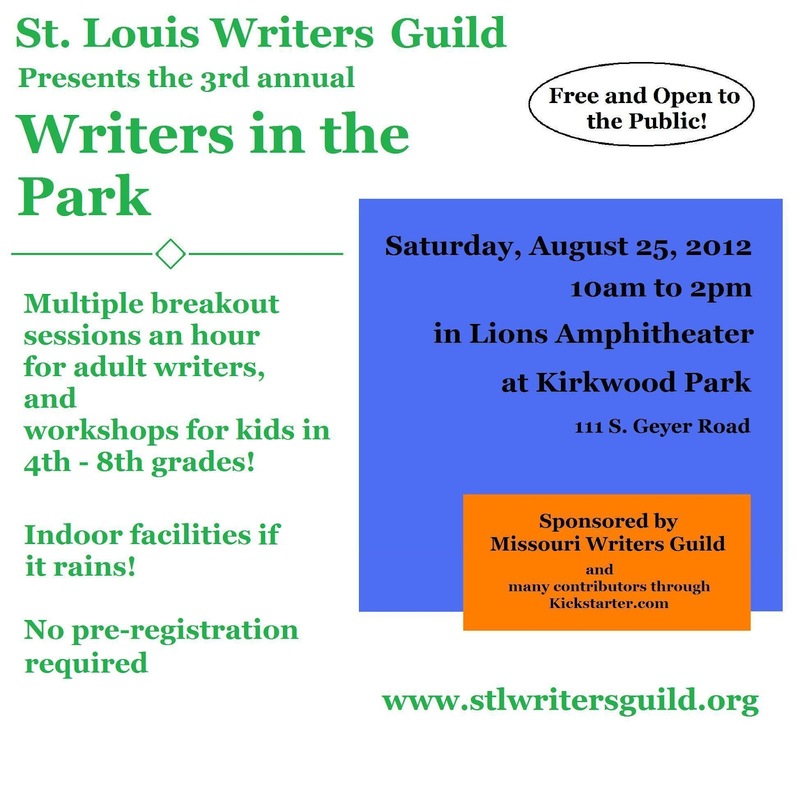 Three years ago, St. Louis Writers Guild created a writing mini-conference, Writers in the Park. It is a single day of writing workshops, a way to harness the electric feeling of a writers conference, and showcase one of the largest literary communities in the Midwest. To help promote Writers in the Park, The Writers’ Lens is giving away one of the hunter green silicone bracelets that will be handed out at the event. The bracelets say, Writers in the Park on one side and stlwritersguild.org on the other. 1. Show up to Writers in the Park on Saturday, August 25 – They’ll be at the SLWG Booth and at the Kids Workshops! 2. Comment on this post. Every comment left on this post is an entry to win the bracelet. To enter The Writers’ Lens Writers in the Park giveaway simply leave a comment or question on this post or any of the posts this week. Please include your email so we can reach you if you win. The more comments you leave, the greater your chance of winning the contest. The winner will be chosen after the event on Saturday, August 25, and announced on Sunday, August 26. Thank you for stopping by and good luck with the giveaway! Since I can only write part time, my writing time is very precious to me. I guard it as a bear would its cubs. Still, I find it amazing at how many things and people in my life demand that I sacrifice this precious time for them. Often these time-thieves, much like any other thief, have no care or thought as to how precious their object of theft is to the owner. Instead their only focus is themselves. We all have plans and often those plans go up in smoke shortly after we start working them. Maybe because I have seen so many die, I believe that we only have a small amount of time in this life and every moment is precious. It should not be wasted, but enjoyed. Be that enjoyment pursuing our goals or holding a beautiful woman in my arms, or spending it with family and friends in moments of mutual enjoyment, or helping those same people. And yes, sometimes the theft of time is critical to the fulfillment of the moment in our lives. Still . . .. I want to ask you, my readers, what time-thieves do you have and how do you deal with them? 4. When I was in school: Unimportant or made up busy work/homework assignments. Cemetery Girl is a thriller by David Bell. "Every truth has its price." "Tom and Abby Stuart had everything: a perfect marriage, successful careers, and a beautiful twelve-year-old daughter, Caitlin. Then one day Caitlin vanished without a trace. For a while they grasped at every false hope and followed every empty lead, but the tragedy ended up changing their lives, overwhelming them with guilt and dread, and shattering their marriage. "Four years later, Caitlin is found alive--dirty and disheveled yet preternaturally calm. She won't discuss where she was or what happened. Then the police arrest a suspect connected to her disappearance, but Caitlin refuses to testify, leaving the Stuarts with a choice: Let the man who may be responsible for destroying their lives walk away, or take matters into their own hands. And when Tom decides to try to uncover the truth for himself, he finds that nothing that has happened yet can prepare him for what he is about to discover." HOW DO YOU WIN A FREE COPY OF CEMETERY GIRL? To enter the contest, simply leave a comment or question on the Writers' Lens between now (Aug. 13) and midnight, Aug. 18, 2012. Please include your email so we can reach you if you win. The more comments you leave, the greater your chance of winning the contest. If you refer others to The Writer's Lens who mention your name in their comments, I'll enter your name again in our random number generator along with theirs, also increasing your chances at winning! Good luck and comment often! Congratulations to MIKKI, winner of Jo Hiestand's TORCH SONG, and thanks to everyone for reading and commenting on The Writers' Lens! MIKKI-- to claim your book, please contact me at twfendley@gmail.com. The winner was chosen using a random number generator. Writers and the entire publishing industry are sailing the seas of revolution that can toss and drown institutions that once were the foundation to the industry (such as The Writer Magazine going on hiatus after 125 years) to new writers who tear at their hair in frustration at the contradictory advice. While the reader has access to a larger array of new authors, browsing online does not give the reader the same feel that the old brick and mortar bookstores did--where you could walk the rows of books and discover by accident a new book or new author. Instead, you click the "next button" to find the next list of 20 or more books in whatever category you are looking for--and the gem you seek may be around book 534 on your search list. There is no way to turn back the clock and the days of the standard gatekeeper is on a timer ticking away while they try to figure out how to adapt to the new world. With the obvious questions of "How do I get find new authors?" and "How do I get discovered?" comes a new paradigm coming under attack. I have heard the following question raised at multiple writers' conferences and at workshops of writers' groups I belong to. Over the years the answer to this question has always been consistent--that was until I heard a few agents at a large writers' conference I attended change the answer. The question is, "As an author (new or established), should I post the first few chapters of my book online?" The traditional answer has been a resounding "No." Actually, that no rings like a bell slammed with a sledge hammer. That was until July this year when I heard some agents say "Yes." In the past--and still many think this today--if a writer posts the first few chapters of a book on their website, then those chapters are self-published. By doing that, the author would not be able to sell that work. Now, this hard line that had been chiseled into granite is now not so solid and the opinion is shifting among the agents and the publishers. So, what is the answer? Is there an answer? I'm not sure if there is an answer. I can only hear more questions like: "What if it is the next book in a series and the first book just came out? Won't it ruin the suspense?" and "What if I decide I need to rewrite? Is it too late?" or "Will it attract agents and readers? Will they be the right agents?" An ancient Chinese curse would be to wish someone to live in interesting times. All of us in the writing industry are living in such times. Please, if you would, share with us your opinion on this issue. Along with your opinion, please share if you are a reader, writer (we are all readers), agent or something else. Today's topic of "how to offer free ebooks" is one that puzzled me when I first started marketing my debut novel last October, and I've since seen several other new authors struggling with it. I quickly determined that giveaways on Goodreads, blog tours and contests would be one of the best ways to increase my book's exposure to readers and book reviewers. As an avid reader, I was already a fan of bookstore gift cards, but those didn't really help me promote MY book. Fortunately, most online book retailers offer a way to gift specific ebooks, but each retailer is slightly different. For that reason, it becomes important to have the "right" email address for the recipient and information on what ebook format they use. This is often where readers seem to get confused (at least, I guess that's why they don't claim the books they've won). As an author, getting accounts with the major online booksellers is step one. Okay, let's start with Amazon, the 500-pound gorilla in the room. Amazon: Sending a Kindle ebook can be very easy. First, select the Kindle edition of the book you want to send from the online listing. In the green box on the right, click the gold "Give As A Gift" button. After you sign in to your Amazon account, you'll see the option to "Email the gift directly to my recipient" or "Email the gift to me." You can send a personalized message if you choose to send it directly, and the recipient will be notified immediately that the book is available. The tricky part of sending an ebook directly to the recipient (which gets it to their Kindle seamlessly) is getting their Amazon email address. This is the email address they use to order books from Amazon, and NOT the email address that ends in "kindle.com" for posting personal documents to their Kindle. Barnes & Noble: Pick the Nook book version. Under the orange "BUY NOW" button, you'll see a "Buy As Gift" option. Sign in, create a personalized message, and provide your recipient's email address. After you buy, B&N will instantly email them to let them know you sent a gift. All Romance/Omnilit: This multiformat bookseller offers a variety of options for those with eReaders other than Kindle and Nook (but including those, too). You can gift a particular eBook by first purchasing for yourself. Then click on the little present icon next to the title in your library to send the gift to someone else. The giftee will receive a special notification via email with a custom message designed by you. If they already have an account with either All Romance or OmniLit, the title will display in their library. If they don't, they'll be invited to open an account and find their book waiting for them. An overview of what file formats are used by the different eReaders is also available on Fictionwise. For people who don't have dedicated eReaders, free downloads make eReaders available to smart phones, tablets and computers. Links to some of the popular free apps (including Kindle & Nook) are available on my author's website. If you're an author, please share any tricks you've learned about gifting your ebooks, or any difficulties you've encountered. I know Smashwords and some of the other self-pub tools have coupons that make gifting easy, but I'd love to learn more about this process. Thanks for reading The Writers' Lens. Your comments will enter you in this week's giveaway contest for Jo Hiestand's latest British mystery, TORCH SONG. This week's giveaway is Jo Hiestand's TORCH SONG, A McLaren Case Mystery set in Derbyshire. HOW DO YOU WIN A FREE COPY OF TORCH SONG? To enter the contest, simply leave a comment or question on the Writers' Lens between now (Aug. 6) and midnight, Aug. 11, 2012. Please include your email so we can reach you if you win. The more comments you leave, the greater your chance of winning the contest. If you refer others to The Writer's Lens who mention your name in their comments, I'll enter your name again in our random number generator along with theirs, also increasing your chances at winning! Good luck and comment often! I met fellow L&L Dreamspell author Jo Hiestand last year at a book signing event in O'Fallon and have since had the pleasure of doing several signings with her and mystery writer Judy Moresi. I hope you enjoy learning about Jo and her work--I know I have. This Southern girl's even learned how to pronounce Derbyshire (who knew?). A month-long trip to England during her college years introduced Jo to the joys of Things British. Since then, she has been lured back nearly a dozen times, and lived there during her professional folksinging stint. This intimate knowledge of Britain forms the backbone of both the Taylor & Graham mysteries and the McLaren cold case mystery series. Jo’s insistence for accuracy--from police methods and location layout to the general “feel” of the area--has driven her innumerable times to Derbyshire for research. These explorations and conferences with police friends provide the detail filling the books. In 1999 Jo returned to Webster University to major in English. She graduated in 2001 with a BA degree and departmental honors. Her three cats--Chaucer, Dickens and Tennyson--share her St. Louis home. HINT: Check out Monday's giveaway! The Writers’ Lens is about "Bringing fiction into focus." What brings your writing into focus-- the characters, the stories, the love of words? That's easily answered: the characters. I start off with characters. This is especially true in my Taylor & Graham mystery series. Each book uses a different British custom as the backbone of the plot. When I decide on a custom, I figure out who would be involved with that custom. For instance, "A Well Dressed Corpse" showcases the custom of well dressing. So who would be involved with that? There'd be villagers to make the well dressing panels, an event coordinator, the daughter of the coordinator who's an aspiring singer, a rival village's event coordinator, the village vicar, the jealous wife of the event coordinator, last year's event queen... You get the idea. So all the characters have a legitimate reason for existing and act true to their role in the custom. I believe if you create the plot first, you run the risk of having wooden characters who may do anything simply to make the story work. This creates unbelievable actions, motives and characters. If you create your people first to give them a purpose, they will leap off your page with life. What inspired your latest book? My book "False Step" comes out in October. Since it's one of the Taylor & Graham mysteries, and therefore needs a British custom for the plot, I researched and discovered rapper dancing. No, not "Hey, dude, you lookin' cool." Rapper, as in rapper sword. It's an 18-24" flexible steel blade, handles on both ends, so that you and the dancer next to you can each hold a handle. It's danced by five to nine people. They weave intricate knots with the rappers. This is done by the dancers physically changing places and going over, under, around each other, like a Celtic knot. I was very intrigued with the dance, saw it on YouTube, but had a lot of questions. So I emailed the director and musician of a group near Derbyshire, which is where my series is set. He answered my questions and I stayed with him last September when I returned to Derbyshire for a book signing. The dance troupe performed and they chose their own characters' names for the book. It was a lot of fun to research and my jaw still drops when I see the videos of the dances online. Check out the Newcastle Kingsmen video on http://www.rapper.org.uk/video/ if you're not familiar with the rapper sword dance. The group I saw in England, who became fictional characters in "False Step," are an all girl group, the Maltby Phoenix Sword Dancers. So the rapper sword dance custom intrigued me and inspired my latest novel. Would you share a bit about your next project? I'm just finishing up "Hit Song," which is the fourth book in my McLaren mystery series. Michael McLaren is an ex-cop who left his job due to a terrible injustice. He now repairs dry stone walls in Derbyshire and investigates cold cases on his own. "Hit Song" deals with the death of a university art student one year ago and a man, John Pooley, suspected of killing her. Due to lack of evidence, he is released by the police. But that doesn't stop public opinion from mentally trying and symbolically hanging John. When he conveniently dies, the case seems to die with him, except that the local radio shock jock stirs the cold case embers to inflame citizen outrage on the one year anniversary of the girl's death. The exciting thing, to me, about this book is that it's the third book that will have an original song that goes with it. Two local university music students arranged my lyrics (set to a traditional Scottish folk song tune) and recorded it. It's available on CD. 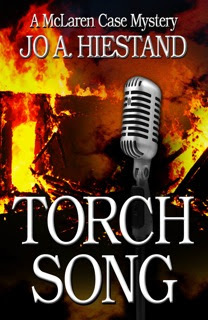 However, for "Torch Song," the book prior to "Hit Song," there's a completely original song. Lola Hennicke, a university music student and professional blues singer, wrote an original melody to my lyrics. She and her acoustic band recorded the song in a 1940s torch song style, and the CD is selling well. That was so much fun that when "Hit Song" came into being I went back to the university for the two current students, Hannah Satterwhite and Nick Pence. This song is in the folk music style. I love the idea of having original music as a companion piece to the McLaren books. Since the books have music references already running through the story, this just seemed a natural addition. The victims in the stories seemed so alive to me, their music seemed so deserving of being heard, that I came up with this CD idea. I think it brings the reader closer to the characters and makes them come alive. How cool is that to "hear the victim singing"! Name a book that you wish had a sequel (or another sequel) and what kind of story you think that literary remix would tell. I absolutely love "Daughter of Time," by Josephine Tey. Her detective, Alan Grant, is in hospital, recuperating. He tackles a historical "mystery" to solve from his bed, giving him something to do. He starts with a portrait of Richard III and does research into Richard, the princes in the tower, and the Tutors. I love how Tey slowly gives the reader the history of Richard and the princes and their mysterious death, and comes to the conclusion that Richard is not the monster Tutor history has painted him. If Tey could've written a sequel, I'd have liked her to take on another historical mystery, perhaps what happened to Charles I's royal jewels. Or the identity of the man in the iron mask. Or the death -- actual or faked -- of Christopher Marlowe and the schemes and implications of that faked death. What's the highest compliment someone could make about your writing? I'm thrilled if a reader tells me she felt as though she were in the scene, that she smelled the forest or saw the interior of the church or felt the rain fall down her neck...or whatever place or action I describe. It's a huge compliment when the person says "I really feel I'm there." Then I know I've successfully conveyed my impression of the scene to her.